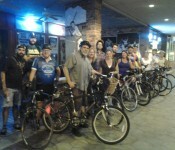 Each month (weather permitting) BikeLakeland organizes a Social Ride. 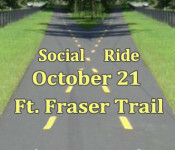 For the month of October , Road & Trail Bicycles will host the October 21st BikeLakeland Social Ride. We’ll leave from Road & Trail and cross 98 to get on the Fort Fraser Trail for a ride into Bartow. It will be a 12 mile round trip mostly on the trail. The plan is to cross 60 at the signal light on Wilson Ave and ride into downtown Bartow with a stop at Palace Pizza. 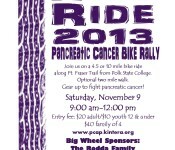 There will be two rides for BikeBash13. Both rides are free and are no drop. 1) Before the Bash starts, city commissioners and members of the Lakeland Police Force will lead a ride from Bay St. and Tennessee Ave. to Lake Hollingsworth and back. Please meet at the corner of Bay St. and Tennessee at 8:45 am to join the ride. 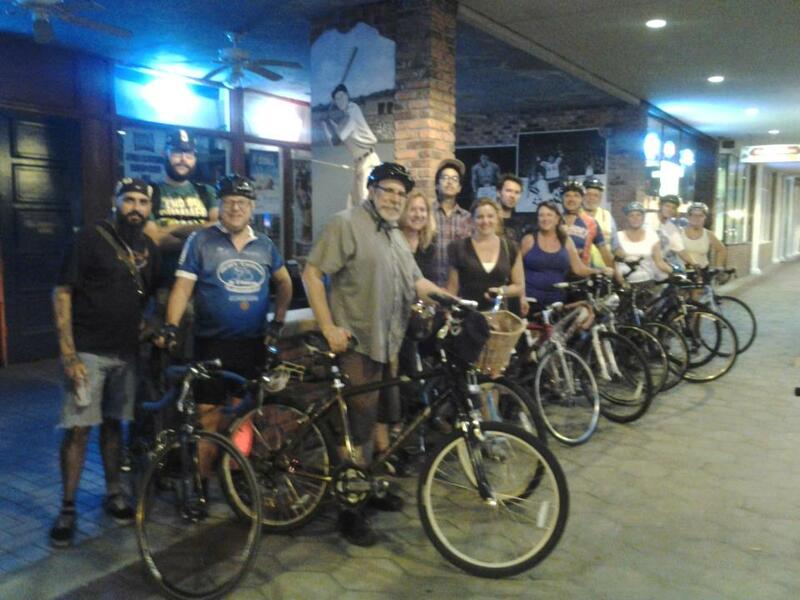 2) Join us for our first Saturday ride! 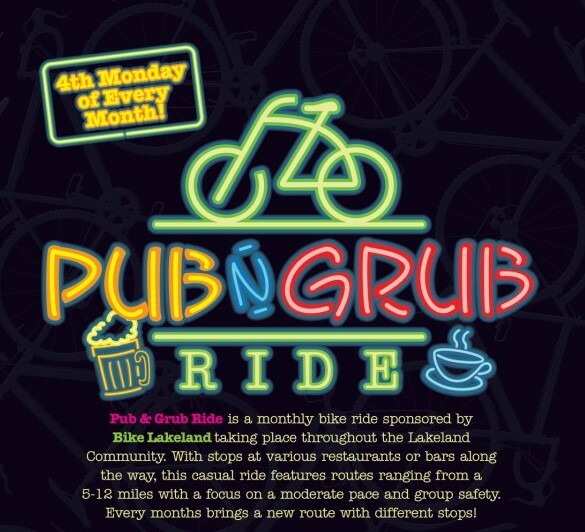 The BikeBash13 Pub & Grub Ride will start Saturday April 27, at 5pm. 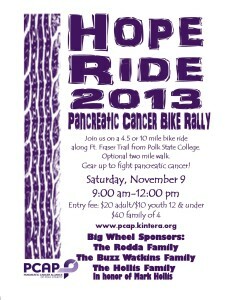 Please meet at Black and Brew at 4:45 pm to join the ride. The stops will include: The Heights at Cleveland Heights Golf Course, Patio 850, and the Chop Shop. 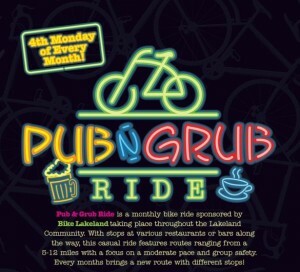 The Pub & Grub ride next week will take us on a different route than for our inaugural ride last month. This month we’ll wind through the neighborhood North of Edgewood and West of New Jersey. On the return trip we’ll meander past Lake Somerset, Lake John & through Peterson Park. This month we’ll ride to La Porta Rossa for appetizers. La Porta Rossa will have Magic Hat #9 special draft for $.90. 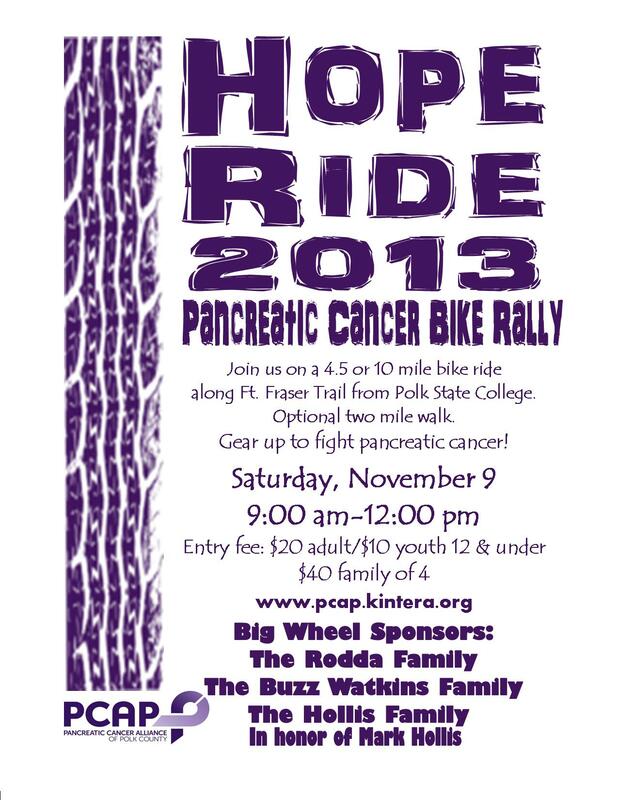 CHGC will again have specials for those completing the ride.